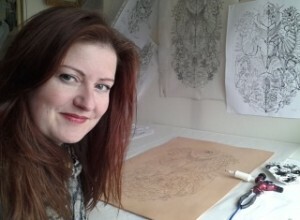 I studied fashion and textile design (BA hons) from UCE, Birmingham, UK, where I specialised in embroidery. With a long held fascination of anatomy, I created lighting and sculptures from interlaced, sliced, stitched, layers of leather, acrylic and neoprene, influenced by the teeth and the mouth. I continued to experiment with leather creating hand cut 3d leather panels and accessories. I recently left a career as brand visual manager for a fashion company, to create under the name ‘Punctured Artefact’, where I use vegetable tanned leather as my canvas and a tattoo machine as my pen. 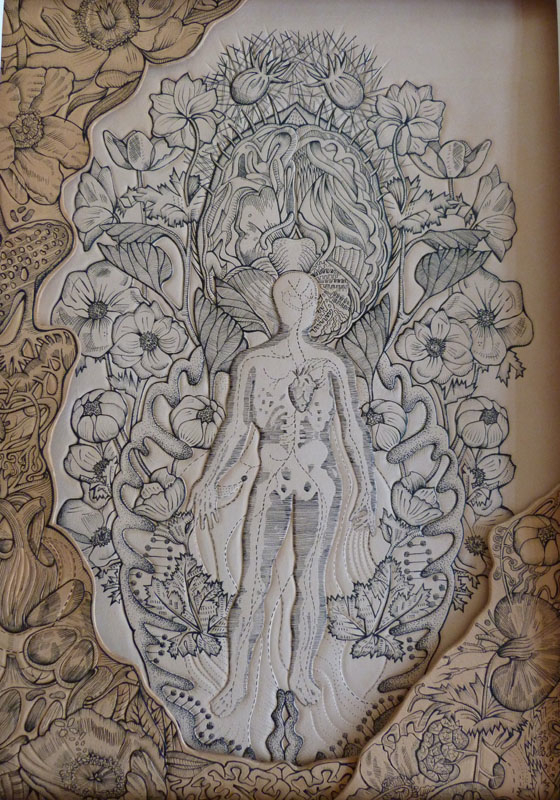 Each design is intricately detailed and handrawn with a tattoo machine. 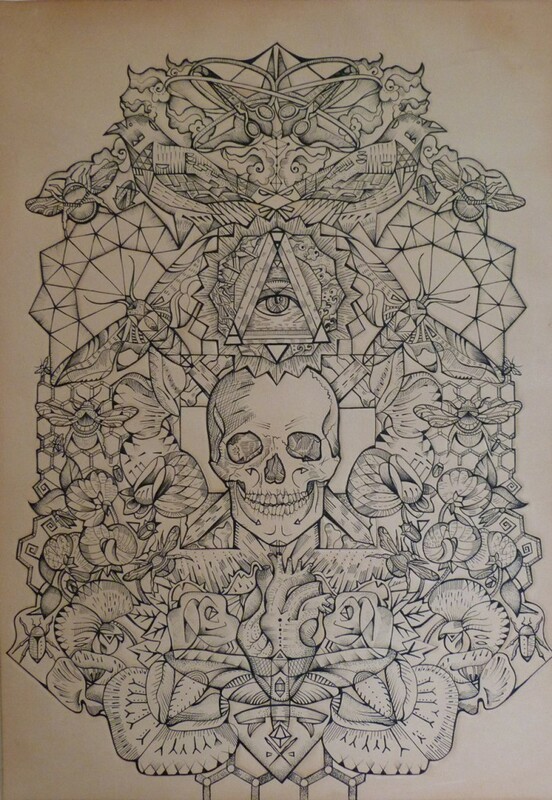 Inked in flowing lines, creating interconnecting patterns of sliced, shattered and broken organic and geometric motifs. 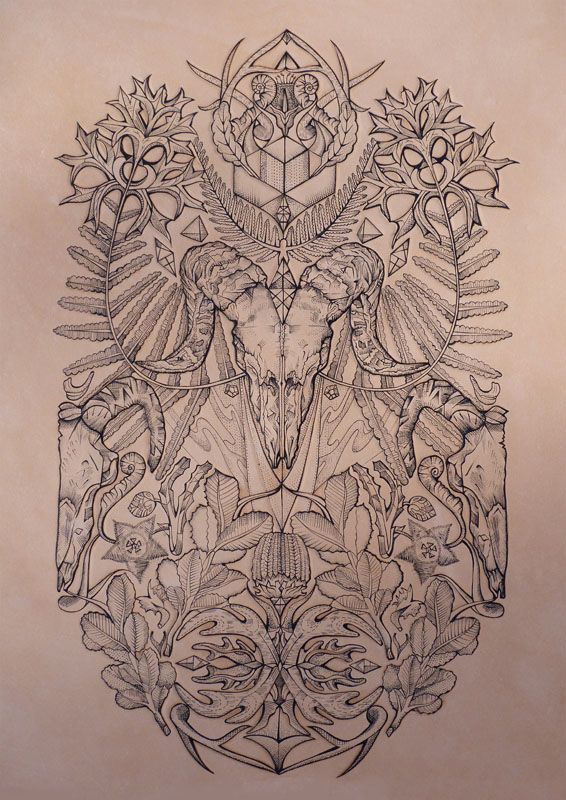 Which are further enhanced by the use of traditional, decorative leather techniques (onlay, inlay, repousse, tooling, embossing) I draw inspiration from the sciences, anatomy, death heads, old scientific illustrations, natural history drawings, geometry, maps, symbolism, patterns & botanicals. Dionne Marshall holds a Bachelor degree (BA hons) from UCE, Birmingham, UK in fashion and textile design, specialised in embroidery. 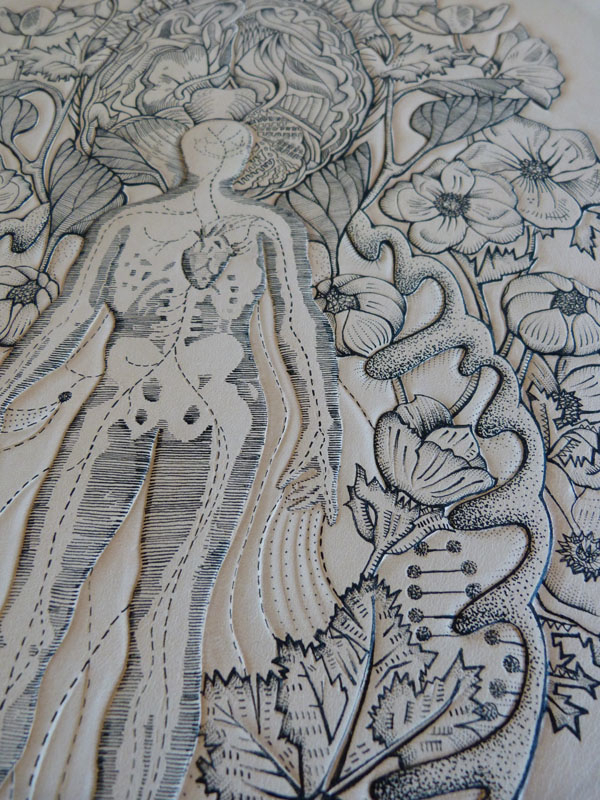 She is the founder of 'Punctured Artefact', where she creates handmade tattooed leather art, jewelry, accessories, inspired by natural forms and anatomy.